Find out all about what DC has coming up with December 2018’s DC PREVIEWS #8, soliciting DC Entertainment’s comics, and more, on sale in February 2019 and beyond. 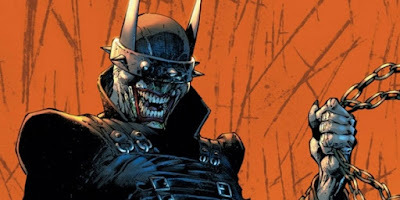 In it you will find everything that DC previously would have offered in the pages of Diamond Previews, including solicitation information and art for our upcoming comic books, collected editions and collectibles. As you flip through DC PREVIEWS, notice that all our imprints — DC, DC Vertigo, DC Black Label and even MAD — are listed alphabetically and integrated together. 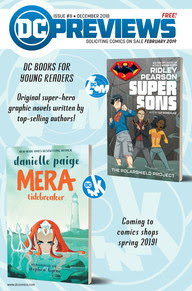 Each title has its imprint logo next to it so you’ll know instantly where they fit into DC’s overall publishing program. Der Katalog liegt dem regulären "Previews" bei (ab Mittwoch, 28.11. im Unfug erhältlich!) und kann bereits jetzt vorab online eingesehen werden, HIER!